Limit 1 per person and 1 per transaction. Valid toward any services. By appointment only. Valid Monday-Wednesday only. Full value of Gift Certificate must be redeemed in 1 visit. 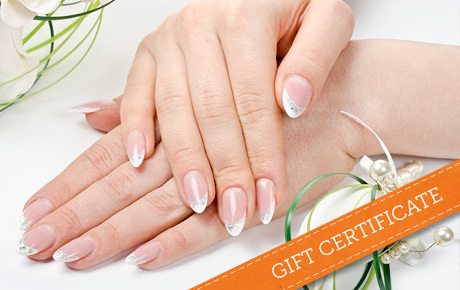 Refine your features with 50% off a $40 Gift Certificate to Absolute Nail Spa in Wheeling. This cozy nail salon and spa offers a variety of services to turn any day into a special occasion. The owner of this salon has been in the beauty industry for more than 13 years and opened Absolute Nail Spa eight years ago. With a variety of nail services ranging from basic polish changes to gel nails, acrylics and no-chip manicures, this nail hotspot is the perfect place to get your talons tailored. In addition to their outstanding nailcare, the professionals at Absolute offer waxing, massages and facials for a complete spa experience.